In addition to forming an essential aspect of how to lose weight, regular physical exercise is instrumental to living an overall healthy lifestyle. There are many types of physical activity that will keep you healthy, from low impact to high-impact exercise, to sports and arts that incorporate physical activity, such as dance. Physical fitness should be broken up over the week and can be completed via a variety of activities you enjoy. Below are some of the primary reasons getting regular physical activity supports a healthy lifestyle. As you age your body will begin to lose muscle mass, and as you lose muscle mass it will be more difficult for your body to burn excess body fat. However, by combining cardio exercise with weight and resistance training you can maintain your current body weight. 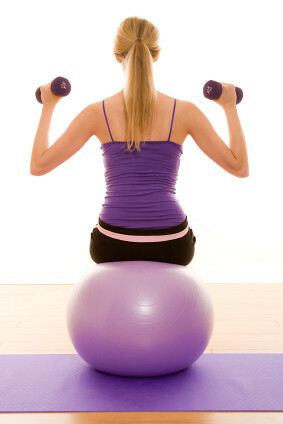 Exercise combined with a healthy diet is also an effective way to lose extra pounds you may have gained over the years. If you are feeling stressed out in either your personal or professional life, 30 minutes of cardio vascular exercise will increase your levels of serotonin, dopamine, and norepinephrine. By increasing these stress-releasing hormones you will walk away from your workout feeling more at ease. Your workout will also help to release stress-related tension in your muscles. Keep this in mind when your schedule feels so full that you are having a difficult time squeezing in your workout. Your workout will be your much-deserved “me” time, and you will instantly feel better when you are done. Studies show that burning 350 calories 3 days a week can elicit the same response as antidepressant medications. Even if you are not depressed, exercise will help boost your mood and make you feel good from the inside out. Yoga and meditation are popular choices for mood boosting exercises. But almost any physical activity that you enjoy can have the same positive effects on your mood. When you find physical activities that you enjoy you will be more likely to do them with greater frequency. Committing to a solid 2.5 hours a week of physical activity reduces your risk for cardiovascular disease, heart disease, and certain types of cancer. Physical activity also helps your muscles and organs release toxins and free radicals into your bloodstream. To help the free radicals and toxins exit your body, drink hydrating fluids like water and beverages with electrolytes before and after your workout. You will not be able to see the positive effects exercise has on your internal well-being, but you will feel the benefits. When you look good you feel good. By maintaining an active and healthy lifestyle you will be proud of your body. You will appreciate all of the work you put into staying active and fit, and it will shine through in your level of self-confidence. There are many ways to increase the amount of physical activity in your life. You can join a gym, sign up for group fitness classes, participate in team sports, walk, run, or create a home gym. However you maintain your physical fitness, make sure you schedule it into your weekly activities. Daniel Herbert focuses on health, wellness, fitness, nutritional science, medical research and other assorted topics.